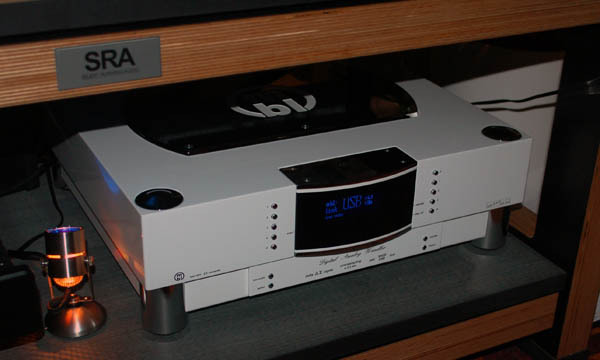 A few bits more make a crucial difference, distinguishing a conventional D/A converter from the top-grade product from our company the mbl 1611 F. The days are long gone where 16 bits/44.1 kHz constituted a sound barrier for recording on digital media: Audio DVD and SACD allow a resolution of up to 24 bits at a signal bandwidth which has been doubled in size, thereby offering the kind of unadulterated, pure audio experience which has previously been the exclusive reserve of live events. The sonorous ambience of the bits and bytes is thus transformed onto the acoustic stage of absolute musical reality. The rigorous processing of the most exclusive components to be found on the market also ensures the high level of quality of the digital-analogue conversion. The mbl 1611 F thus contains three similarly constructed, low-scatter toroidal core transformers which are magnetically shielded with M/U metal and which are insulated using sophisticated protective shield technology. They guarantee a minimum of bothersome interference by using a mains current at a maximum of constant power supply which are indispensable for non-distorted reproduction. 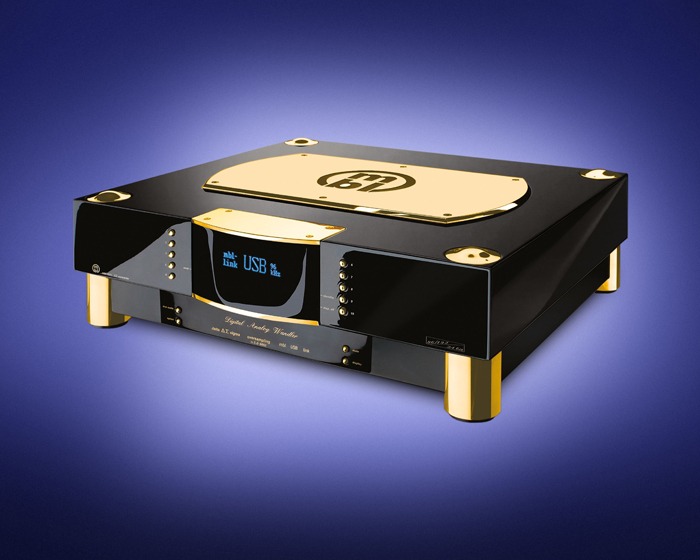 This F-type mbl D/A converter pushes the analog performance to higher levels and defining a new standard for sound quality. Designed as a pure 2-channel D/A the F-type utilizes an advanced, proprietary multi-bit, DS modulator with integrated noise shaping technology in a closed-loop architecture, ensuring premium sound quality by removing any potential audible artifacts.Realistic sound Dreamlike vision: As with all MBL components, the mbl 1611 F also encompasses the latest technology in a noble exterior. The highly-aesthetic design synonymous with MBL manifests itself through selected materials, lavishly crafted in our own plant according to rigorous quality controls.